IT pioneer and Apple co-founder Steve Jobs leaves behind a host of ideas, devices and products for the healthcare IT world in general, and the mobile health industry in particular. Just days before his death October 5, following a long battle with pancreatic cancer, Apple announced a possibly ground-breaking development--a security configuration that would make the now-ubiquitous iPad HIPAA-compliant. The implication: Healthcare providers now can use the FaceTime video chat function to securely talk to patients and other clinicians. Jobs' connection to health IT stretches back decades, but his true legacy for mobile users came more recently with the advent of the iPhone, the iPad and iPad2. Healthcare professionals flocked to the devices, using them not only for personal activities, but also pushing hospital CIOs hard to enable them for professional tasks. Hospitals like Beth Israel Deaconess Medical Center in Boston and Canada's Ottawa Hospital purchased thousands of the devices, distributing them to physicians and clinicians as their primary work tools. Jobs himself made a rare public appearance at last spring's ComputerWorld expo to bolster the devices' healthcare profiles, projecting uses for iPads in radiology, cardiology and other specialties. "Apple has lost a visionary and creative genius, and the world has lost an amazing human being," Tim Cook, Jobs' longtime deputy--and Apple CEO successor--told employees in a letter, Mobiledia reports. "We will honor his memory by dedicating ourselves to continuing the work he loved so much." Upon Jobs stepping down as Apple CEO this past summer, Beth Israel CIO John Halamka--an early iPhone and iPad supporter--told InformationWeek Healthcare that Jobs has "enabled our imagination. CIOs and doctors are now envisioning solutions that would not have been possible without Steve's innovations." Keith Fraidenburg, communications VP for the College of Healthcare Information Management Executives (CHIME), recalled to InformationWeek Healthcare when the iPad came onto his radar: "The introduction and adoption of the iPad and iPod touch changed everything...an increasing number of doctors [came] to their IT department saying, 'I just bought an iPhone and love it. Can your IT team support it? ', or 'I found this great new app for my iPad that will help me be a better doctor, how can I integrate this information into my practice setting? ', hospital IT departments have really been forced to become more device and platform agnostic." Perhaps the most pervasive imprint Jobs made on mobile healthcare users is the wealth of apps, add-ons, and plug-ins that enable iPhones and iPads to perform everything from simple health logs to blood glucose checks, blood-pressure monitoring and even cancer diagnoses. The Apple App store most recently debuted a special healthcare app section, to help clinicians sift through the growing number of native health apps being developed for the iOS platform. You almost certainly have a cell phone (83 percent of Hispanics do, according to a recent study), and it's probably a smartphone with capabilities far beyond talking and texting. Perhaps you use it for social networking, checking the weather or sports, or games. But have you thought about how this device may actually improve your health? It's true. Revolutionary new applications designed to work exclusively with your smartphone can help you manage your health, let your doctor monitor your condition remotely, and even let you know when it's time to take medications. Take diabetes, a disease with a higher than average prevalence in the Hispanic community. 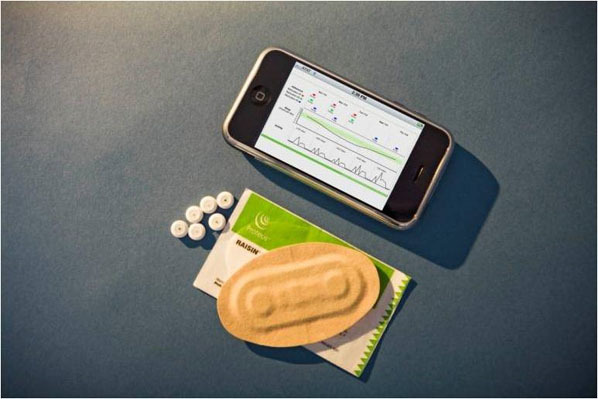 Specialized apps permit a patient to measure blood sugar by inserting a strip into a slot, providing a reading and sending the results directly to a doctor. 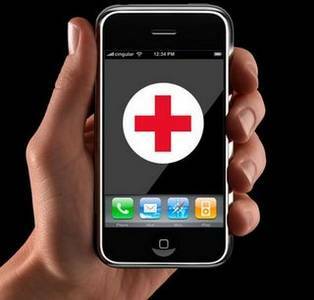 And the application offers health information to patients as well to help them manage their condition better. Text4baby is another mobile, or "mHealth" solution. It offers advice via text message in English and Spanish for expecting and new mothers. Already, over 281,000 women have enrolled in the system, which has sent millions of text messages to assist pregnant women and new mothers in getting their newborns off to a good start. New wireless products like iTriage and Care Pass are revolutionary applications which puts the patient in the center of the healthcare equation and gives them the power wirelessly to make health care decisions when, where and how it's most convenient for them. AETNA's CarePass will deliver an integrated health care solution that securely provides information when and where consumers want it. As of today more than five million Americans are already using iTriage, making it one of the most downloaded health and fitness apps in both the iTunes® App store and Android Market history. Another new product is the "glowcap," wirelessly connected to a smartphone. It provides visual and sound reminders of the need to take medicine at the proper time, which helps with adherence to medication schedules, important for diseases such as AIDS and cancer. In health, nothing substitutes for prevention. Yet far too many Latinos today do not have access to a doctor because of cost or mobility issues. To help with this, there is another recent innovation, the "doc in a box." It will help connect patients to healthcare in areas where access to doctors and medicine is difficult. The "box" contains a video camera offering high quality video, broadband access (both wireless and wireline), and equipment for basic medical tests such as EKGs. Once vital signs are taken, the information goes straight into a patient's record, which can now be maintained electronically. In California, the wireless revolution in healthcare will be greatly assisted by a new law that permits doctors to be able to consult with patients remotely ("telehealth"), without the need for an in-person visit first. This is a major step forward, particularly for seniors, migrant workers, and those who live in rural areas. But products like these are only the beginning of the technology revolution in healthcare enabled by broadband. Fortunately, the Latino community is well positioned to take advantage of these changes. According to a recent report from the Pew Hispanic Center, Latinos already obtain a great deal of health information from media and are taking positive steps for their health as a result. But to make these and other health-related applications a reality for everyone who needs them in our community, people will be need to access the wireless Internet securely, reliably, and quickly. As demand for mHealth and other applications grows, the spectrum we already have, particularly in major cities, is getting crowded. Network operators are deploying advanced, fourth-generation broadband services across the country now, but they will need more spectrum to be sure everyone can use these types of innovative applications. A remote patient consultation needs to be transmitted smoothly, not be dropped. Only with additional spectrum for wireless will everyone be able to access the wireless Web when they need it. For patients, these new solutions offer greater convenience and better access to healthcare services. More important, they will help reduce the overall costs of health care while at the same time ensuring better health outcomes. And in healthcare, nothing is more important than that. While we need at least 30 minutes daily of sunlight exposure for boosting vitamin D levels, it’s best to minimize sunlight exposure from 10:30 AM to 3:00 PM. Too much radiation from sunlight can destroy the thyroid gland and damage our internal organs. Staying hydrated is key during the summer heat and humidity. Drink 1 glass of filtered/bottled water every hour! Also make sure you have adequate potassium and magnesium levels by eating at least 3 servings of fresh fruits and 3 servings of dark green leafy vegetables daily. Green Tea Extract: A full day’s serving of green tea extract (2 capsules/day) not only helps to keep wrinkles away, it offers a strong defense against the fastest growing cancer of our time, namely skin cancer. Green tea should be at least a 90% polyphenol extract to provide optimal benefits. Green tea Polyphenols (extract) have the ability to kill viruses i.e. Herpes I and II almost on contact right in the mouth and the G.I. tract. Green tea can also prevent plaque build-up in the teeth and maintain healthy gums. Green tea can also help prevent other types of cancer. Green tea is toxic to cancer cells thereby killing these cells. Dosage: 1 capsule 2 times a day, preferably at mealtimes. Omega-3 Oils: Researchers have found that lifestyle plays an important role in setting the stage for many cancers including skin cancer. One such change is the lack of omega 3 fatty acids in the diet. Fish is an unreliable source, so supplementation is essential. Omega-3 fatty acid deficiency can cause unhealthy triglycerides, blood vessel problems, blood pressure, and other skin problems like psoriasis and eczema. Omega-3 fats are also important for brain health and can help minimize depression. It is important that the fish oil is not from salmon as most salmon nowadays are farm-raised. CoQ10: If you are planning to spend time in the sun, you might want to pack CoQ10 along with your sunscreen. This enzyme is shown to be a valuable therapy for many types of cancer including skin cancer related to UV light exposure. C0Q10 is also helpful in reducing wrinkles. Other benefits of CoQ1O include heart health, improved circulation and aids in fat metabolism. Dosage: 100- 200mg a day with food. Selenium: Ultraviolet radiation creates free radicals (oxidized oxygen molecules) that accelerate skin aging. When taken orally selenium has been shown to protect the skin from damaging sun rays. Selenomethionine is the most effective form to take. Selenium combined with vitamin E has been found to be also helpful in prostate cancer prevention. Vitamin C: Vitamin C is depleted when the skin is exposed to the sun, pollution, or smoking. Minimal ultraviolet exposure can decrease vitamin C levels in the skin by 30%. Ozone exposure from city pollution decreases vitamin C by 55%. Dosage: 1000mg- 2000mg a day with food. The powder is better absorbed than Tablets. Vitamin E: Taking at least 400 lU. of vitamin E combined with mixed tocopherols can reduce basal cell carcinoma by 70%. Vitamin E at this dosage can also reduce photo-damage, wrinkles, and improve skin texture. Sunscreen For optimal protection, you want to avoid PABA as well as other toxic cosmetic chemicals that are potentially carcinogenic. Over the course of thousands and thousands of years our brains have become wired toward creating, fixing, solving, basically just doing. It’s been a great benefit; we have roofs over our heads, cars to drive, chairs to sit on and even this technology to connect around. But when it comes to our stress or uncomfortable emotions, the brain mistakenly uses the same approach and unknowingly make our stress and pain worse. We can begin right now to train our brain with a more effective approach. This is what I call, the “BE” practice and it can be experienced in one minute. Note: First, see if you can set any judgments aside of whether this practice will or will not “work” for you. Engage this just with the goal of being aware of your experience. Breathe – Take a few deep breaths and as you breathe in, know that you’re breathing in, as you breathe out know that you breathing out. The instructions are very simple. You can even say to yourself, “In” as you’re breathing in and “Out” as you’re breathing out. This is meant to pop you out of auto-pilot and steady your mind. Expand – This is the process of expanding your attention throughout the body and just feeling the body as it is. You may feel warmth or coolness, achiness, itchiness, tension, tightness, heaviness, lightness or a whole host of sensations. Or perhaps you notice no sensation at all in other areas. When you’re here also be aware of how emotions are being expressed in the body. Stress may be tension in the chest or shoulders, calm may be looseness in the back or face. Whatever you notice, just practice allowing to be as it is without needing “to do” anything about it. That’s it! It may sound too simple to be impactful, but again, set your judgments aside and let your experience be your teacher. Just practice being, Breathing and Expanding into the body in mini-moments throughout the day to experience The Now Effect , that space of awareness and choice that will lead you to a more balanced and mindful life. To help you remember you might consider posting signs in your environment that say “Just Be” knowing that means to engage in the “Be” practice. Or maybe putting a note in your digital calendar to pop up a couple times in the day as a reminder. The benefits are enormous – it just takes intention and practice. As always, please share your thoughts, stories and questions below. Your interaction creates a living wisdom that we can all appreciate. The potential value of social interaction in health games is clear. Positive social pressure and support from a group may be very useful in encouraging healthy behaviors like exercise and healthy eating (Fraser & Spink, 2002) and convincing health games players to continue the game even if they are not doing well. But effective groups depend on honest self-disclosure and emotional connection among members to establish the cohesion that gives them their power. Unfortunately, self-disclosure comes with a risk when communicating about behavior or conditions that are painful or socially negative. To label oneself as an alcoholic, or as obese, or as a cancer patient opens the possibility of being subjected to teasing or bullying or exploitation. In a game, even playing poorly exposes the player to the dangers of ridicule. This fear of negative consequences works against the free communication that makes social interaction effective. A typical method for providing anonymity in games is to represent the players with an avatar that protects their actual identity while still representing them with a unique surrogate identity. This can be a visual graphic or picture or even something as simple as a distinctive text “screen name.” (More information about avatars and their potential impact on game design is presented by Nick Yee in The Proteus Effect, another Research Brief on this web site. Despite its potential for negative side-effects, the power of group interaction to encourage and sustain positive behaviors has convinced some health game designers to incorporate social interaction into their games. The Health Games Research program has funded several projects that use social interaction (albeit without anonymity) as motivational devices. Examples are the Union College project, Seniors Cyber-Cycling with a Virtual Team: Effects on Exercise Behavior, Neuropsychological Function and Physiological Outcomes, and the Cornell University project, Mindless Eating Challenge: Persuasive Mechanisms in Mobile Health Games. An important research question for health game designers is whether the positive social effects of group communication can be sustained while still providing health game players with the benefits of anonymity in the form of an avatar. Having a player represent him- or herself with an avatar may reduce the player’s risk in disclosing sensitive information to the group and thus encourage him or her to share personal information (Joinson, 2001). But it may also attenuate a player’s feeling of social connectedness with others in their group. Communicating with an avatar is just not the same as communicating with the person behind the avatar. In particular, graphical avatars generally don’t provide important nonverbal information from facial expression, body movement, and other modes of expression. This leads to “emotional distancing” which decreases the benefit of social interaction. We have been investigating the impact of anonymity provided by avatars on emotional communication and self-disclosure. In a recent study done at the Institute for Creative Technology, University of Southern California (Kang, Watt,& Gratch, 2009), researchers found that increasing the levels of anonymity from none (full visual identification), to intermediate (a graphical avatar), to full (providing no visual representation at all), had two opposing effects: it decreased the sense of emotional connection while at the same time increasing the amount of self-disclosure of intimate information that an individual was willing to share. The diagram below shows these effects and is explained in the Notes About the Statistics at the end of this Brief. The diagram shows that increases in anonymity simultaneously produce increases in self-disclosure (which is good if the group is going to communicate about sensitive topics) and decreases in emotional connection (which is bad, as the group will be perceived by the individual as more distant and less supportive). Since increases in emotional connection produce increases in self-disclosure, decreasing this variable by increasing anonymity ultimately decreases the amount of self-disclosure. But the effect of anonymity via emotional connection is smaller than the direct effect of anonymity on self-disclosure, as explained in the Notes About Statistics, so the overall effect of increasing anonymity is to increase the communication of intimate information. This should promote group cohesion and honest communication, even though anonymity also somewhat decreases the emotional connection with the other group members and thus might decrease the motivational effectiveness of social interaction in a game. This is a bit of a quandary, as we would like to have both emotional connection and self-disclosure. But there may be a way to provide the benefits of anonymity without the negative emotional distancing side-effect by designing the avatar to facilitate communication. In an earlier experiment, we found that the use of graphical avatars, like those typically found in games and used in the experiment described above, does decrease the sense of emotional connection between people (Kang, Watt, & Ala, 2008). But we also found that some types of avatars, like a digitally processed video image that contains facial expressions and body dynamics but masks details necessary for recognition, can preserve this emotional connection while still providing anonymity. Providing both essential nonverbal information and anonymity in game avatars is likely to become easier in the immediate future with incorporation of video as a standard feature in home computers and game consoles and especially in mobile communication devices that are increasingly being used for games. Nonverbally expressive avatars can be fairly easily programmed in this new environment. Adding a social dimension without fear of harassment or ridicule to health games will improve their effectiveness and their potential to reach wide audiences. Notes about the Statistics: The figure above is a path diagram, where the numbers on the graph are the standardized path coefficients, which range from zero (no effect of one variable on the other) to 1.0 (perfect relationship between variables). Positive numbers indicate that increases in the causal variable (at the open end of the arrow) produce increases in the effect variable (at the arrowhead end). Negative numbers indicate a decrease in the effect variable occurs with an increase in the cause variable. (The diagram and numbers are for a simplified model. The full model is described in Kang, Watt,& Gratch (2009). Since the direct and indirect effects of anonymity on self-disclosure tend to cancel, it is important to see which is dominant. The path coefficients let us calculate this. Increasing anonymity increases self-disclosure by .27 standard units while decreasing emotional connection by .26 standard units. Since decreasing emotional connection will also decrease self-disclosure by .16 standard unit, the indirect effect on self-disclosure of changing anonymity by one standard unit is -.26 times .16, or -.04, a relatively small decrease. At the same time, increasing anonymity one standard unit directly increases self-disclosure by .27 standard units, so the net effect of anonymity on self-disclosure is .27-.04=.23 standard units. Medicine has certainly progressed in the past 50 years, but the day when tricorders diagnose every ailment instantly and treatments are tailored to our DNA seems as far off as ever. Eric Topol is trying to bridge that gap. In his new book, The Creative Destruction of Medicine , Topol—the chief academic officer at Scripps Health—calls on patients to demand true digital medicine now. We talked to him about genetics, gadgets, and his vision of a Khan Academy for doctors. Wired: Not many doctors get to take the stage at the Consumer Electronics Show, as you did in 2010. What was that like? Eric Topol: It was a revelation. Normally people go to CES to learn about gizmos like HDTVs. And here I come to do a demo of wireless devices for health. The reaction was astounding: They began clapping when this little device I was holding showed an ultrasound of my heart on the big screen. It made me realize that consumers want to care about their health. They just need to get activated. Wired: And that starts with this nifty concept you have of digitizing medicine. Topol: Right. We understand digitizing a book, but what does it mean to digitize a human being? When I went to medical school, the term digital applied only to rectal exams. But today you can get a DNA sequence, you can get biosensors that record nearly every physiologic metric from blood pressure to brain waves, you can get a digital scan of any part of the body. These tools offer a window into each person that was unfathomable a few years ago. Wired: But it’s not just the body; this scales up to the entire infrastructure of medicine. Topol: That’s right. The digital world—the Internet and the cloud and supercomputing and social networking—is breaking medicine out of its cocoon. It’s a superconvergence we’ve seen in other walks of life but not in the health and medical sphere. Wired: So what does digitized medicine get us? Topol: We can start capturing people’s health data throughout their lives—all the little things that have lasting implications. For instance, we can track cumulative radiation exposure from every scan and x-ray. And consider the risk of drug interactions: Every year hundreds of thousands of Americans wind up in hospitals or worse because we didn’t match up the patient genomically with the right drug or dosage. Just capturing those things could save thousands of lives. Wired: How do we make this happen now, rather than just waiting for a new, net-savvy generation of doctors? Topol: We need a Khan Academy for doctors: captivating 15-minute videos on genomics, on wireless sensors, on advanced imaging, on health information systems. These things can revive the excitement they felt as premeds, when they first decided to go into this field. If we can get practicing physicians up to speed and really inspired, maybe we won’t have to wait a generation. I shudder to think about waiting 10 or 20 years for this transformation to occur. Wired: But there are obstacles. For instance, many people in the tech world are afraid of running into bottlenecks getting FDA approval for new medical devices. Topol: The FDA is moving very slowly, with considerable restraint and resistance. That’s one reason the technology is years behind where it should be. One example is a device called AliveCor. It’s a couple of sensors on a case that you can put on the back of an iPhone or a Droid phone to get your electrocardiogram and heart rhythm. It’s very inexpensive—less than $100. You can even send the results to your Facebook friends. In Europe it’s already approved and available today. But not in the US. A lot of these great, innovative ideas like sensors or rapid point-of-care geno-typing are moving slowly through the process with a considerable lack of support, as I see it. And these are largely just diagnostic tools, not therapeutics. Wired: Meaning that they’re not doing anything to your body; they’re just taking information. Topol: Exactly. A perfect example would be the glucose sensor that you can put on and get a reading every five minutes. Wired: Which has likewise been hung up in FDA limbo. Topol: Yeah. If you’re a diabetic and you’re using a glucose sensor, you have to carry your phone and another device, because the FDA doesn’t want glucose going through the phone. That’s really unfortunate; people would rather not pull out a glucose monitor in public. If it were in their phone, it would look like they’re just checking email. Wired: But people with diabetes have many tools to manage their disease, and they’re self-tracking their care. You could argue that’s the epitome of digitizing medicine and giving people access to tools. They should feel empowered. But here’s what I call the diabetic’s paradox: When you survey them about these tools, they say they’re a source of frustration and anxiety—all these negative emotions. Giving them this responsibility and the tools seems to be a burden. Topol: That’s an important issue. Will having more information induce fear and anxiety? I personally believe that if the information is easy to obtain and work with, most people would want to have it. For diabetes in particular, we know there’s a relationship between lack of glucose regulation and complications like blindness and kidney failure. So if you were diabetic and you knew that you could get your glucose in a tight, normal range just by adjusting your lifestyle, wouldn’t that be great? It could be rather seamless in your life. And you could look at your data and start to figure out what works in you: How much do exercise and certain foods help? What’s going on in your life that gets your glucose out of whack? But instead, what we have now requires finger sticks multiple times per day, the ranges are fuzzy and inexact, and the tools are horrible. As long as it doesn’t involve pain, as long as it’s simple to use out of the box, this will work. This will be better. That’s what we’re aiming for. Wired: You write a lot about imaging—x-rays, CT scans, MRIs—and how that’s all gone digital. And that’s very much a two-edged sword, as you well know. Topol: Absolutely. We are grossly overusing imaging in this country, and that’s really scary to me. The mass use of radiation scans is way out of line with any other place in the world. There are estimates that 2 to 3 percent of cancers in the US each year are engendered by exposure to repetitive imaging. So I present this as a shout-out to consumers. When you’re asked to have a CT scan or a nuclear scan, do you know how much radiation that involves? How many of those sorts of scans have you already had? Is it necessary? Is there an alternative? I don’t think many people know about that. We need tools that let us track our radiation exposure for ourselves, each of us. So that, I think, is an important part of how we can reboot the future of medicine. Myths abound concerning concierge medicine (CM). Unfortunately these myths prevent good doctors from converting their practices to CM. Let’s look at those myths—maybe you need to work on yourself and your own beliefs. If you practice quality medicine your patients will value you and your work and will pay a fee to join your CM practice. CM is a value story. If you provide solid value, you needn’t believe these myths–value trumps myth. My patients are not wealthy/can’t afford CM. – I have a lot of Medicare/Medicaid patients. My patients will not like this concierge idea. My patients can’t do without me. I have bad practice demographics. – My patients are too old. – My patients are too young. 24/7 coverage sounds too hard. Is this legal? What are the ethics? The conversion process will overwhelm me. My patients will not like this concierge idea. Do not project onto patients negative beliefs, as those beliefs may become unnecessary self-fulfilling prophecies. Patients’ enthusiasm will mirror your own. Patients possess a survival instinct and will recognize your opportunity for better care, along with your belief in providing that care. Moral: be enthusiastic! Believe in yourself and your patients will follow. Above all, emphasize value and opportunity in your CM practice. My patients can’t do without me. Primary care doctors are famously codependent. Get over it. Patients not seeing the value in your practice can and will vote with their feet. You do not decide who can live with or without you—patients decide. Patients who truly “can’t live without me” will see the value and stay with you. There is nothing unethical about letting patients decide who they need. Do not project your own needs onto your patients. 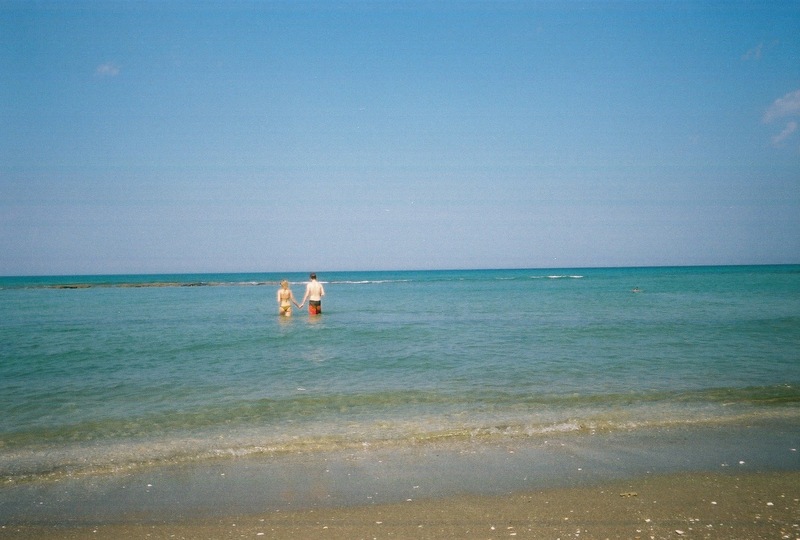 Patients who do not wish to stay with you are responsible for their own lives. Let go of your codependency. I have bad practice demographics. You can overcome demographic obstacles by providing great value to your patients. Patients of all stripes, ages, and locations will stay with you if you take excellent care of them. For example, farmers in my practice understand, respect and value hard work. All of my farmer patients signed my contract. The elderly do tend to value their care more that the youthful, but the health-conscious young will sign-up as well. Meet demographic challenges by making sure your patients see value. 24/7 coverage sounds too hard. 24/7 sounds impressive, and it does demonstrate value. Taking call has never been easier for me. First, with fewer patients in the practice, the calls decrease in proportion to number of patients. Second, the very patients who respect and value me enough to contract with me demonstrate discretion in calling after hours. Mutual respect is the norm in CM. Inappropriate calls come few and far between, so 24/7 call is not hard. Is this legal? What are the ethics? Concierge medicine is legal and is ethical. In CM, you provide a service for which patients pay. If you elect to file insurance, your CM practice needs to provide a non-covered service. Some argue that by charging a fee, you limit access to patients, hence CM is not ethical. Your response should be, “I need to see fewer patients to practice a high level of care. I cannot take care of all patients who need a doctor. It is not my responsibility to see all patients or attempt to cure all of society’s ills. I just focus on my own patients.” Explain this truth to your patients. They will understand you. 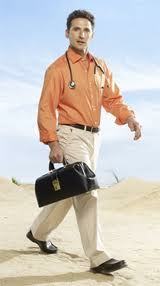 It is ethical for you to stay alive and in business by practicing concierge medicine. Conversion process will overwhelm me. Conversion to a concierge practice is do-able, and challenging. You have one chance to do it right. We do not recommend going it alone. Conversion need not be overwhelming. Simply ask for help. If you know in your heart that you need a better alternative than hamster treadmill high volume medical practice, consider concierge medicine. Do not shoot-down CM based on any of the above myths. Focus on value. If you can provide value to your patients and if you want a better life for your patients and yourself, bust these myths and get going. Unwavering Commitment to Excellence in Patient Services. Simple theme. Theme images by luoman. Powered by Blogger.